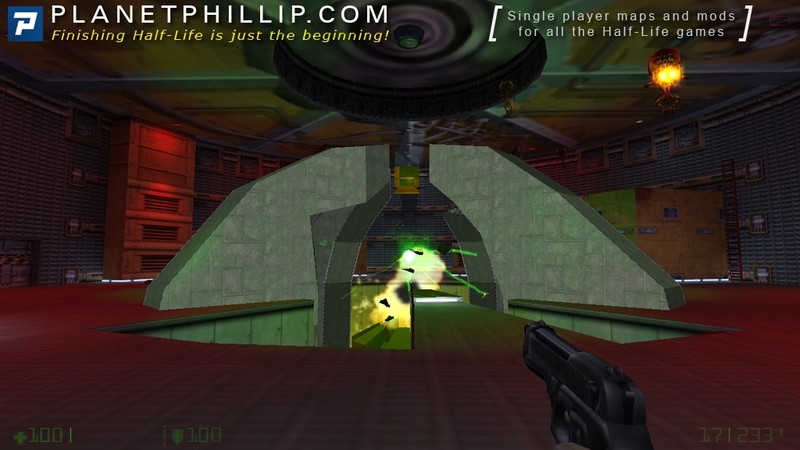 It serves as a short interlude in the game with reminders of events from the original Half-Life. Having arrived at the Lambda complex, Adrian Shephard sees Gordon Freeman teleported to Xen. Shephard is also forced to travel through Xen to find a way out of the Lambda complex. This chapter takes place at the same time as the Half-Life chapters Lambda Core and Xen. A Chumtoad is hidden in a vent towards the beginning. 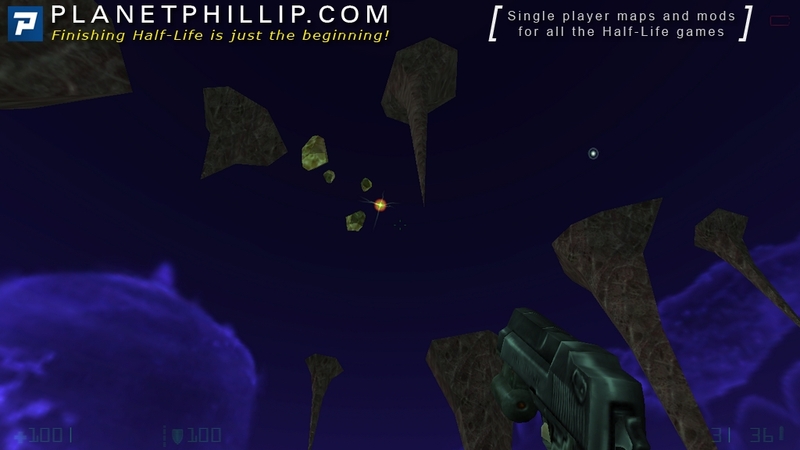 If you run quick enough, you can follow Freeman through the portal, but you will end up falling to your death in Xen and get the message that you were eliminated to prevent creating a paradox. Also, when entering to Xen, this title will appear “C4A1TITLE”. Did you enjoy going back to Xen? Sacrifice yourself to save the scientist from falling to his death. 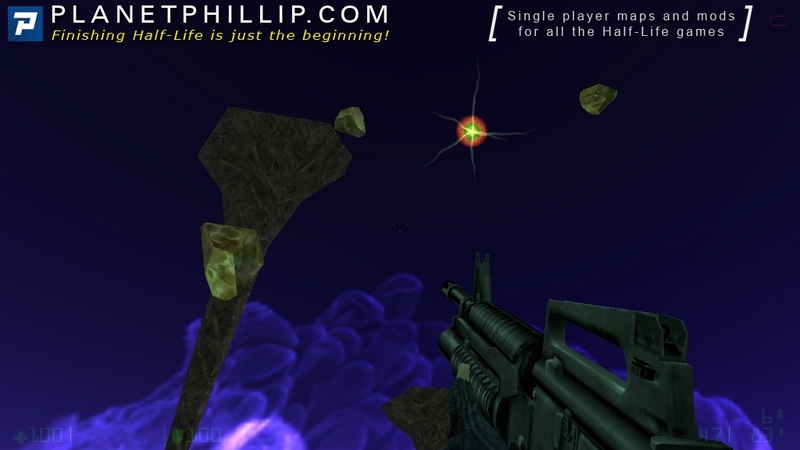 Has to be the shortest chapter in the history of the Half-Life series! I was having some much fun shooting the controllers and then it went down hill as I jumped into Xen. Gotta love watching Gordon jump into the portal. I can’t even remember what he looks like, it’s been so long since I’ve seen him. The whole of Xen is one huge bug! – Visit the Hazard Course. – Sacrifice yourself to save the scientist from falling to his death. I’m going back now to look for the hazard course. I kept jumping to the wrong place and once the scientist landed on me and we both died. Shephard briefly visits Xen. I’d imagine this to be a pretty difficult jumping puzzle chapter for first-timers. Other than that, there’s the tie-in with Half-Life and Gordon too. Nothing much to say. Short but sweet! This chapter is the equivalent of a cutscene as we witness Freeman’s journey into Xen. I followed him and caused a temporal paradox, presumably because as players we didn’t see Shepard during HL1. 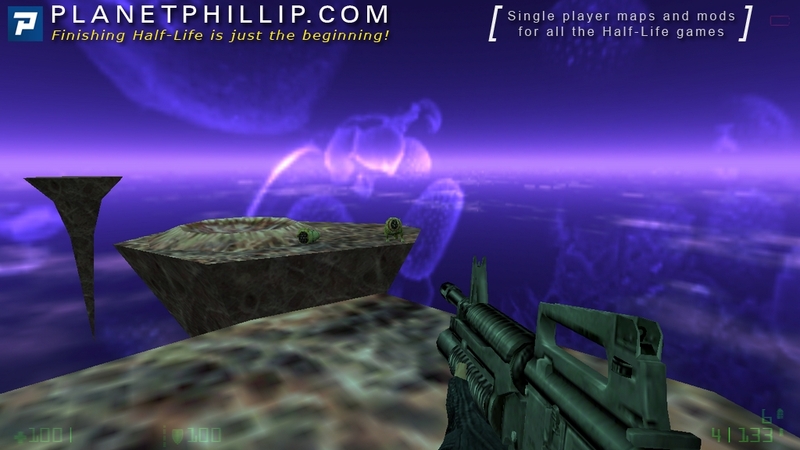 A very short chapter, but just about on par with the Xen chapter proper from Half-Life which was only a single map. 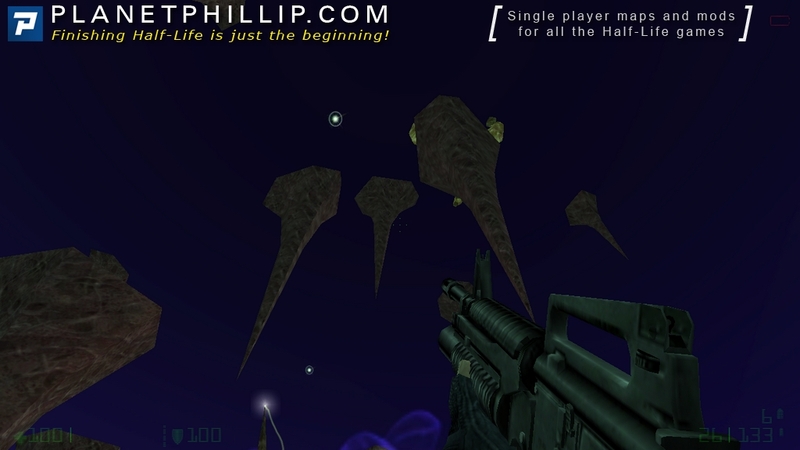 While I didn’t mind any of the Xen sections in Half-Life, this one annoys me – and that’s because it’s another set of jumping puzzles, but this time you’re going up and the path up isn’t clear. So when you’re launched up from a bounce pad, if you haven’t chosen your path correctly, you’re either going to end up short or take a ton of damage by falling further than you expected. This section’s design was really poor and honestly I’m floored that it stayed the way it is throughout playtesting. 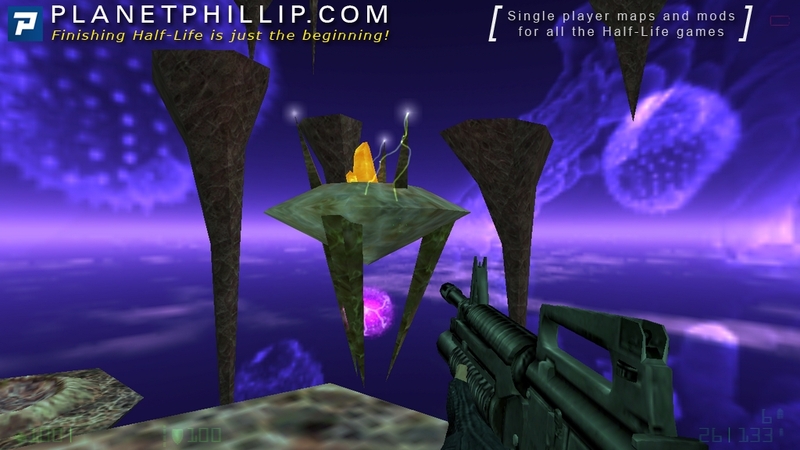 Overall this chapter is again pretty much filler – its main point is again to try and strengthen the tie between Half-Life and Opposing Force by giving you a direct intersection, when Freeman enters the portal to Xen. I found the only worthwhile parts of this chapter to be when you get the displacer via a funny scripted sequence, and if you use the teleportation option of the displacer immediately. 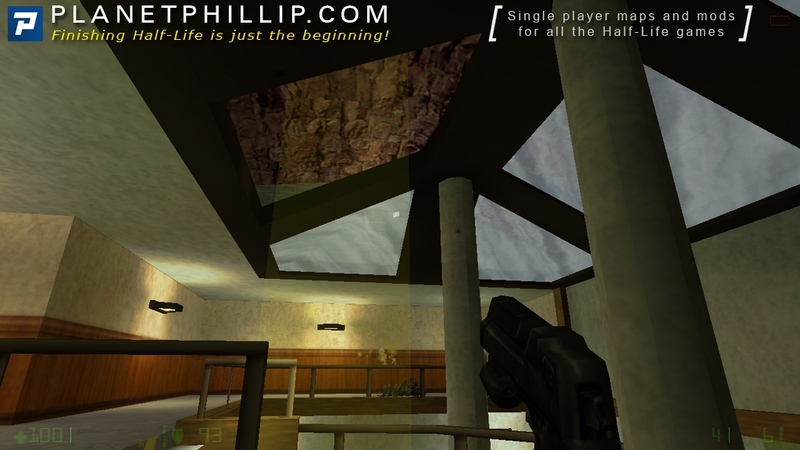 You again get to visit a locale from Half-Life which serves as a bit of an easter egg. Short Xen chapter. Suddenly through the ventilation we get to the teleportation room where Freeman was sent to Xen and see him entering the teleporter. We can follow him, but if we do so, we’ll be teleported into empty space and fall to our death. Before falling, we can kill Freeman with rocket launcher, but that won’t change anything. It is certainly good to find out what happened with the teleportation chamber after Freeman’s leave. We see destruction and fight Alien Controllers. The bridge falls and the portal opens. We enter it and see very picturesque Xen place. Halfway through it we encounter a scientist with displacement device. Unfortunately, he was teleported too high and didn’t survive the fall. Right mouse button teleports us. This time we will appear in the training course, and it’s nice to get to observation room where the trainees are not allowed to be. I’d like to see what’s behind this room’s doors, but they are locked and there’s a portal which leads back to Xen. The jumps are very hard, but eventually we reach the portal. Beams and stones fly around it, they are nice additional details. This portal takes us back to Black Mesa, to Crush Depth chapter. Very short chapter where you visit Xen. For those who like Xen it can be not enough, but the new weapon you find there give you the ability to switch between the worlds! At this first occasion to use it, what a pleasure to visit Black Mesa Hazard Course! This chapter is one of those which ask you to move very well, sure you have a good keybinding ? Visit the Hazard Course. OK, that easy. Sacrifice yourself to save the scientist from falling to his death. No, I don’t want! What’s those sparks? Looks like energy spheres of HL2. Chumtoad?! I never noticed that! 4 minutes, including following Freeman. Displacer alt fire (uses 60 ammo) will teleport you, usually to Xen. If you’re in Xen, it’ll teleport you to Black Mesa. Beware, using it in some places will just get you killed so it’s a good idea to quicksave before doing it. I’ve tried it a few times now since posting that, but I was only 30+ mins from the last boss fight so am going to have to go and play with this some more. Thanks though, I still can’t believe I’ve played all these years without knowing this! While the scene with the Xen portal cross-over is pretty cool, it is very strange to see Gordon acting without your control. I also think that the brief Xen excursion was pretty pointless and jarring. Not really a bug, but the Door texture to the teleporter room is really stretched. Really feels otherworldly yet soothing at the same time. It was ok I guess. I love how confused the Slaves are by the hologram. This chapter is pretty cool, since it’s the first encounter with gordon freeman, and the first crossover that makes clear WHEN we are in the original game’s timeline. The radio broadcast Freeman heard COULD have been a rediffusion of the one we witnessed, but this can’t be any different than at the same time gordon teleported. 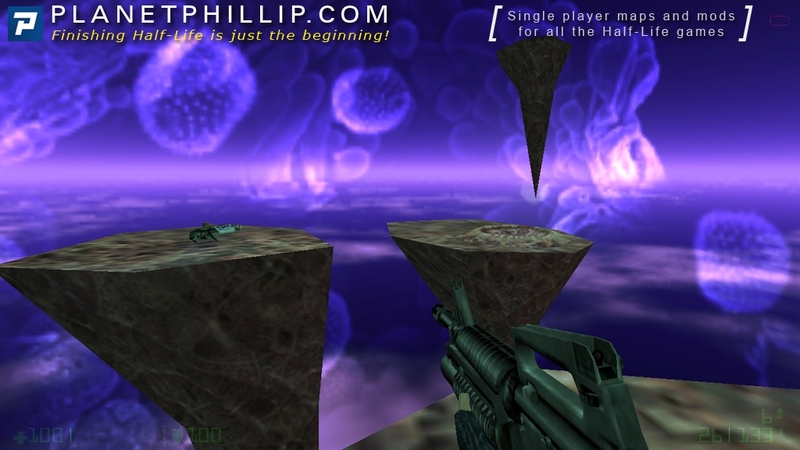 Then we see some pretty deceiving xen level in my opinion, just floating islands, trampolines and our new gun. visiting the hazard course is pretty cool on the other hand. I guess I totally failed at getting any of the challenges in this chapter..